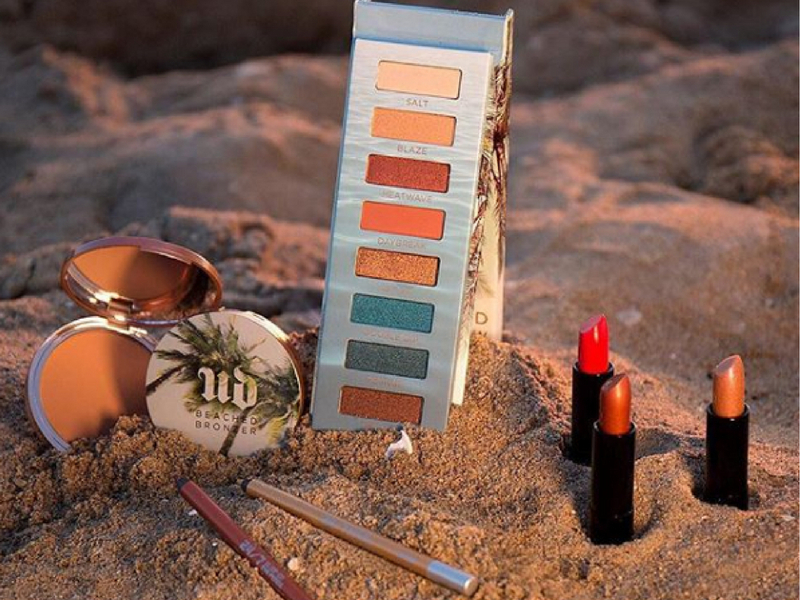 Julia and I are back today with another stunning collection the NEW Urban Decay Beached. 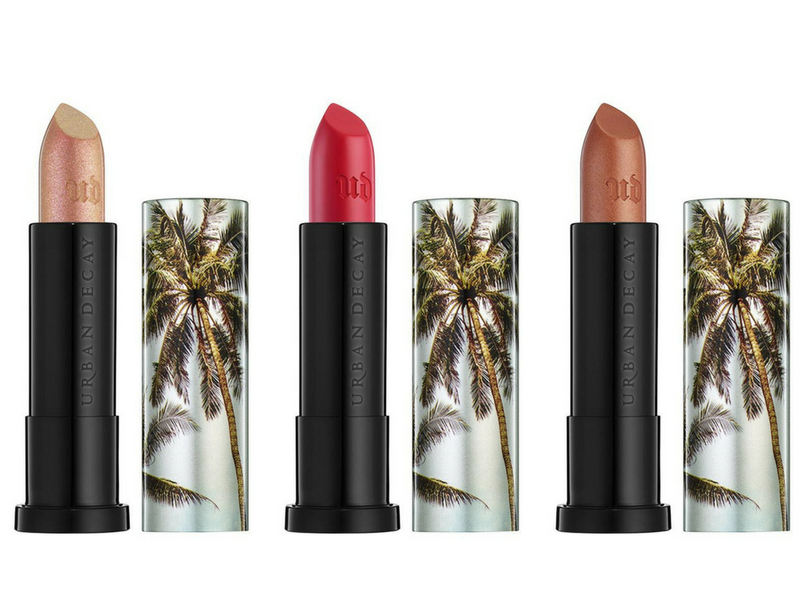 This collection is of course their summer collection that launched a few weeks ago. It’s nothing groundbreaking in my opinion especially for a summer collection but it’s beautiful! 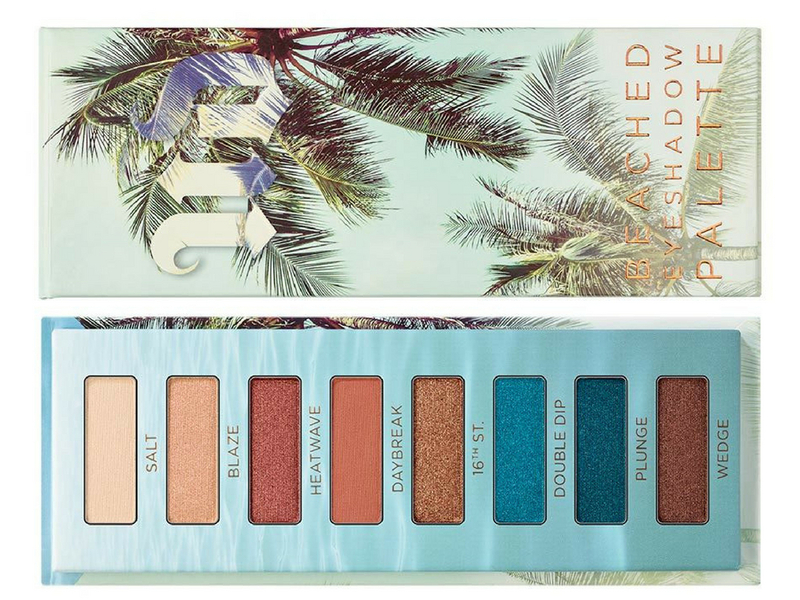 It comes with an 8-shade palette, two eyeliner, two bronzers and three lipsticks all in this stunning palm trees and light blue packaging. It’s already available and you can get it either from Sephora or the Urban Decay website. Mimi: I’m not big on eyeshadows, I love them but since I can’t do a lot with my hooded lids I usually don’t get really excited about palettes. In the last ten years I bought almost all the palettes UD has come out with and this is going to be one of them FOR SURE. I honestly think they have the best eyeshadows on the market. 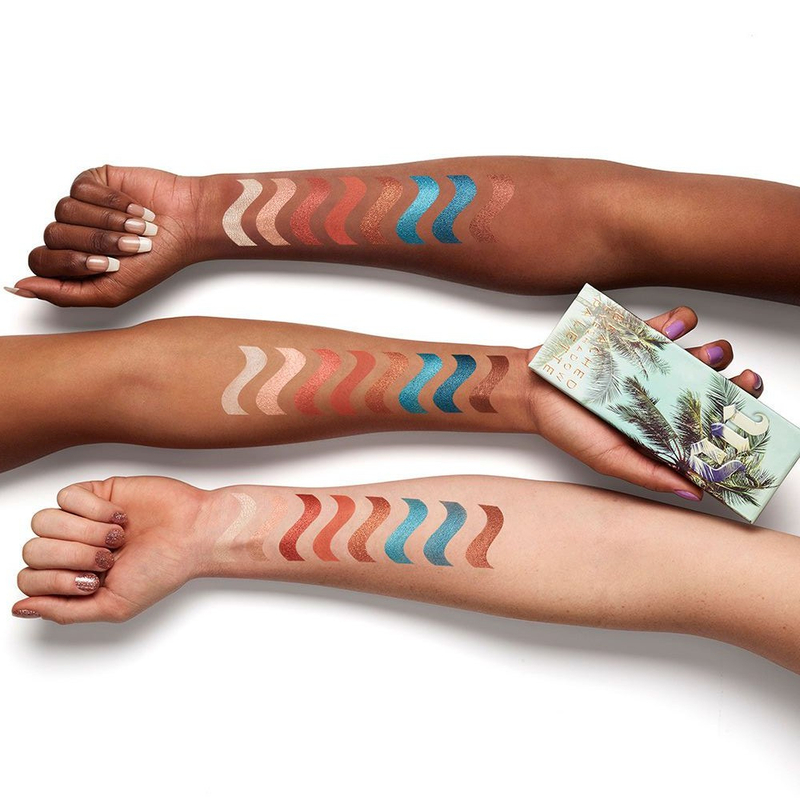 The two blue shades are stunning and you can’t ever have too many bronze eyeshadows. I think that 34$ is a really good price for the quality of this palette. Julia: It’s absolutely stunning! I hope the colours are as bright in real life as they look in the photos because I really like them. The blues are incredible. I don’t think I will buy it only because the neutral shades are similar to some I already have, but I like it a lot and I can’t wait to see it in real life. Mimi: I might be the only one but I’m not a fan of Urban Decay’s lipsticks: I have three and I never use them because they are all melted and I don’t like the scent. The packaging is cute but I’m also not too keen on these shades so I won’t get them. Mimi: I have a few of these pencils and they are some of my favourite but although these colours are really pretty, I don’t use coloured pencil enough to justify the purchase. Julia: The eyeliners are nice, I like the gold one a lot. Mimi: Bronzer is not a product that really excites me so I don’t think I’ll get it. I like UD face products, these look really pretty and it’s not even that I won’t use it if I get it but I have to be real, if I had 30$ to spend at sephora I won’t buy a bronzer! 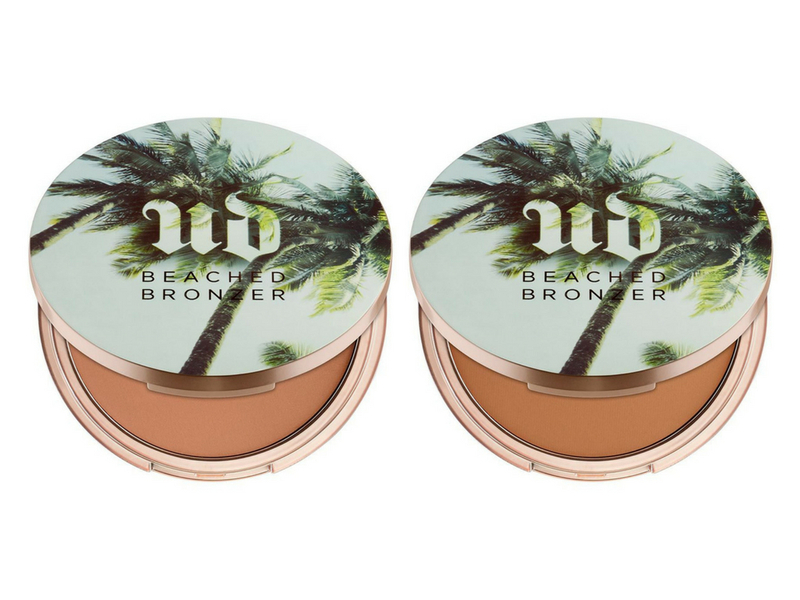 Julia: I don’t really use bronzer so I’m not an expert on them, but the UD one have a really pretty packaging. I purchased two of the lipsticks: 100 Degrees and Heatwave and they are so gorgeous. The Vice formula will always be my favourite and these are consistent with it! I’m curious about the bronzers but probably don’t need them quite yet. The eyeshadow palette is pretty, but I already own the Colourpop Dream St. palette which has very similar shades. And the composition of that palette is better in my opinion! Whaaaat that’s crazy! I’ve never had anything like that happen and I own like 30 of their lipsticks now lol. That’s so weird. I can’t even begin to understand what happened lol. You must live in a much hotter place than me! I definitely need that bronzer. Mama is so pale right now! Ooo I love everything in this collection. The UD Naked eye shadow palettes are my favorite and I would definitely be interested in trying this line. This new palette is so pretty! Bronzer is boring! I still wear it everyday but do you actually need more than 1/2? Wow, those eyeshadows are really pigmented. I could definitely see how you could make either a subtle or bold eye look with that palette. How fun!